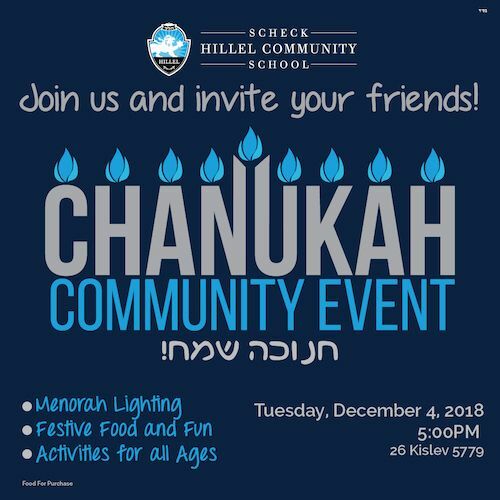 Scheck Hillel Community School invites you to an early evening Chanukah celebration for the community at large. The event will include live music and carnival games for all ages to enjoy. Visitors will also be able to get a taste of our academics by participating in our Chanukah “Hour of Code” Interactive Station, where students in Grades 2 through 5 will teach coding with a Chanukah twist. The Menorah will be lit during the event and traditional Jewish holiday food favorites will be available for purchase.